So, you've been at the gym every night, and it's all going great. You've also cut the meat of your diet completely because that's the choice you've made in your quest to stay healthy. 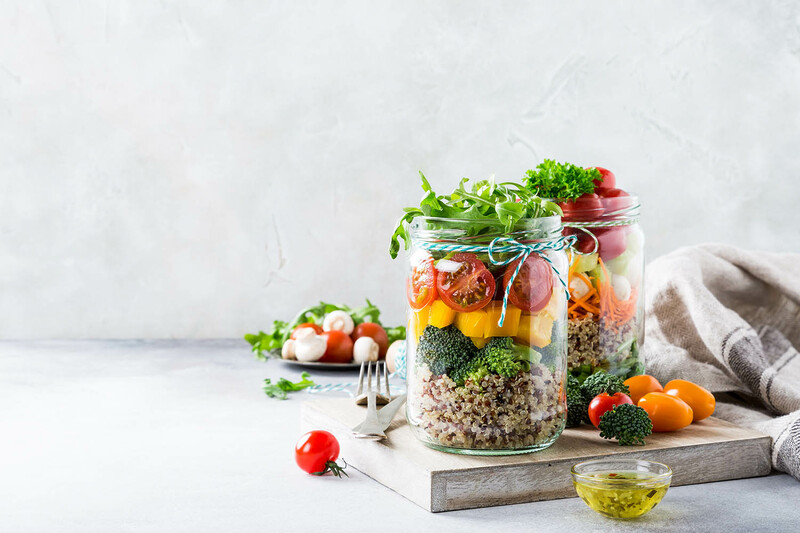 However, to be able to have a meat-free diet and remain in good health, you need to find an alternative source of protein to ensure that your diet allows you to keep going to the gym and working on your fitness. So with that in mind, here are ten protein rich meal ideas for the vegetarians out there. First up on our list of protein rich foods has got to be Quinoa, which is a delicacy that not everyone may well know about. It looks like couscous, but is much more nutritious for you. You can use it in all kinds of different foods, and it is ideal for keeping protein levels up. While is true that most beans don't contain as much protein as you would like, Soy is chock full of protein. You can use it with all kinds of different foods, and it is better for you the firmer it is. Another good source of protein is buckwheat. This isn't wheat, as you'd think, but is instead a relative of the rhubarb family. Besides providing you with protein, it also helps to keep cholesterol and blood pressure levels in check, and you can eat it by either cooking the kernels or instead grinding it down into flour. As a meal, this is straightforward and quick. The rice and beans combination is one which is suited for both vegetarians and vegans and is both hearty and full of protein, providing a source which is on par with meats of all kinds. Introduced as a substitution for meat, Quorn is something which a lot of people do use when it comes to their food choices. This is because not only will you get the protein that you need; you will also be able to enjoy all kinds of meat based dishes without actually eating meat. Seitan is a good way for you to get the protein that you need. It has been used for over a thousand years as a substitution for meat and has shown itself time and again to be great as a way to enjoy veggie fajitas and other bread based dishes. With a recipe that comes from the bible, this loaf contains a good deal of proteins and also a generous helping of amino acids. You can use it as a way to eat all kinds of foods, including as a healthy pizza base. Despite the stark simplicity of this one, peanut butter has a high number of proteins in it. And while there may well be a lot of calories, you'll find that you have the energy to burn them off and then some with this. The actual Spirulina itself is an algae, which delivers the best possible amount of protein when paired with grains and nuts. You can create cereal bars with it or even a healthy smoothie for when you're done in the gym. Coming to us from the Middle East, this combination of pita bread and hummus has been a firm favourite for many people, and also provides a lot of protein, so you'll be feeling ready to get back to the gym and burn off a little bit more. Overall, these are just a few of the recipes for meals which we have found to be full of protein, yet without a trace of meat. Just because you've gone veggie, that does not mean that you can't enjoy a range of delicious meals, and still get the protein that you need.